If you are a New Yorker and you don’t recognize the name Chesley Sullenberger, you may be living under a rock… Captain “Sully” was the pilot that landed US Airways Flight 1549 in the Hudson River after a bird strike earlier this year. 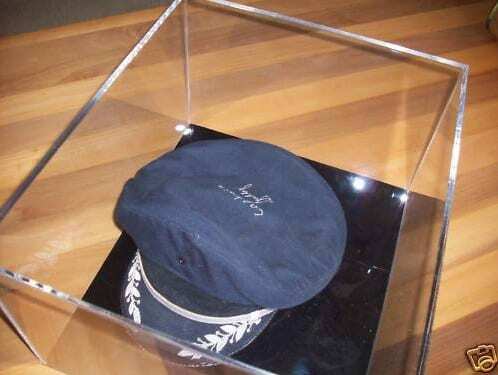 If you’re interested in having his pilot’s hat, which I must admit looks way cooler than my MTA Conductor’s hat, it is now available on eBay. It is even autographed! The proceeds from the auction benefit Dougherty Valley High School in San Ramon, CA, and Lockwood High School in Oakland, CA. The winner will also get a personal note from the pilot and his wife. Unfortunately, it was not the hat he wore during Flight 1549, and he won’t be delivering the hat personally (just make a flyover upper Westchester, thanks! We have plenty of reservoirs for water landings too! )… come on New Yorkers, show your love for Captain Sully by placing a bid here. The auction ends on Monday December 14 right before noon. 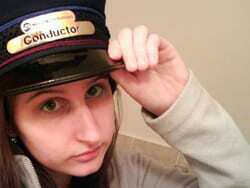 I’ll trade you one conductor’s hat for one pilot’s hat? It is a good trade, I swear!